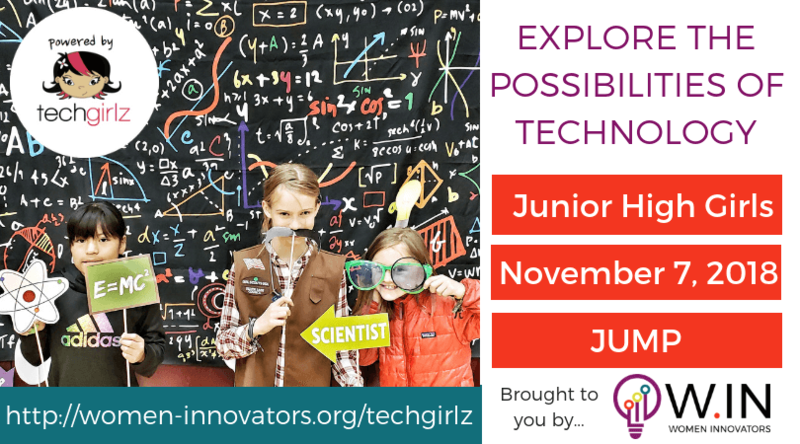 TechGirlz is a hands-on tech conference for junior high girls. This day-long event will include hands-on workshops in science, technology, engineering, and math (STEM). Our vision is to create a world where girls have a lifelong passion and confidence in their use of technology throughout their careers. Join us in inspiring girls to explore the possibilities of technology and empower their future careers. Your day will be very interactive and allow you to touch and feel a lot of really cool things. 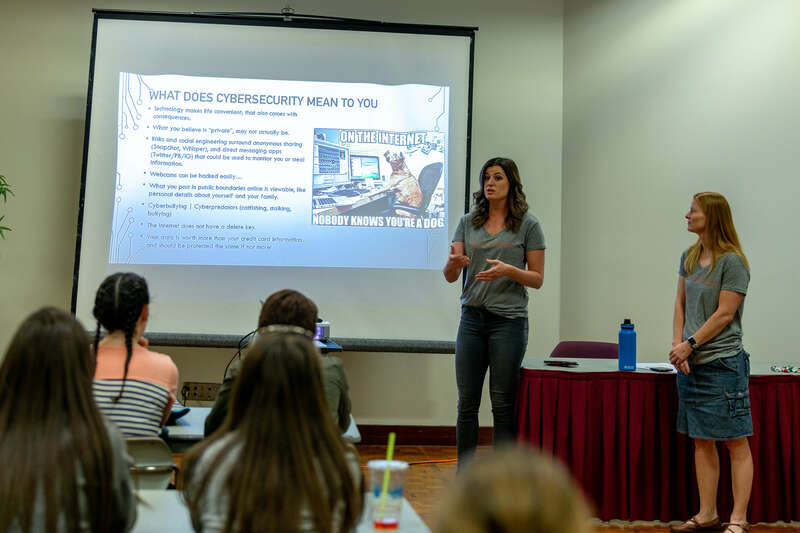 You’ll start the morning with some workshops where you can explore such things as cybersecurity, computer programming, design, engineering, health and explore the TechZone. In the afternoon you will be grouped together in teams for our TechGirlz Challenge where you will design a solution to a re-world problem. Finally, awards and giveaways will round out your day. Build a Flower with Circuits! No experience required! This workshop is a great introduction to coding and will inspire students to push boundaries and challenge the status quo. Join the HP Women’s Impact Network and ignite your inner-geek to make Binary Jewerly while you learn the fundamentals of coding and gain an understanding of all the possibilities the world has to offer to Girls Who Code. Learn all about how you can harness the power of the sun! Converting the sun’s energy into power for everyday use. Now only will you be learning about solar energy but you will b making your very own solar powered house! Everyone has the potential to be a great leader. Learn to harness your inner leader and apply it in your life. Through this skill building workshop you will learn to find the leader and you and unlock your potential! Have a great idea? Well turn that idea into a reality through the creative process and design thinking. Take your ideas to the next level by learning all about the design thinking process and how you can take a simple problem and create winning solution! Become a biomedical engineer during this workshop by teaming up to help unclog blood vessels! You’lluse everday materials to design and develop a device that could help prevent heart attacks. While learning all about the circulatory system and biomedical engineering. Even though they are small, discover the giant power of microbes! You’ll learn all about microbes and take part in a fun experiment using microbes to create clean water! Do you ever wonder what goes into Bath Bombs and how they work? Now you’ll be able to make your own and understand how they react in your tub to create that relaxing bath experience! Create your own beautiful light up circuit flower! You’ll learn about how a circuit works and also build your own circuit to light up a handmade flower. Who knew that electricity could be so beautiful! Experience Virtual Reality first hand and discover how companies are making this technology possible. You’ll learn and experience Virtual Reality technology and it’s endless possibilities!